With a film the IACM would like to thank its former chairman Raphael Mechoulam (2003-2005), Lionel Jacobson Professor of Medicinal Chemistry at the Hebrew University of Jerusalem. In the year 1964 Prof Raphael Mechoulam together with his colleague Prof Yechiel Gaoni published a ground-breaking scientific article on the isolation and complete elucidation of the structure of delta-9-tetrahydrocannabinol. Another research project initiated by him led to the isolation of the first described endocannabinoid anandamide, which was isolated and characterized by two of his postdoctoral researchers in 1992. Please see here the preliminary film. The first 50 persons, who contact the IACM office by e-mail (info@cannabis-med.org) and are available by Skype can be added to film. For the realisation of every new contribution we need 20 EURos (about 25 US-Dollars) from IACM members. Other participants are welcome and pay 30 EURos (about 37 US-Dollars). Tucked deep inside the 1,603-page law on the federal budget is a provision that effectively ends the federal government's prohibition on medical cannabis and signals a major shift in drug policy. The bill's passage marks the first time Congress has approved nationally significant legislation backed by legalization advocates. It brings almost to a close two decades of tension between the states and Washington over medical use of cannabis. The provision prohibits federal law enforcement from raiding medical cannabis plants or dispensaries in states, which have legalised the medical use of cannabis, or otherwise interfering in matters of state law involving the growth, distribution and use of medical cannabis. This has been the de facto legal philosophy of the feds under the direction of the Obama administration, but the provision will make it written law. The provision also signals the shifting of America's drug policy, as both Republicans and Democrats have increasingly voiced support for states that defy the federal prohibition on cannabis use. Pain patients, who receive opioids, experience better pain relief if they also take cannabis. This is the result of a survey conducted by scientists of the Australian National Drug and Alcohol Research Centre and other institutions. The POINT study included 1514 people in Australia who had been prescribed pharmaceutical opioids for chronic non-cancer pain. Data on cannabis use, cannabis use disorder and cannabis use for pain were collected. The government has lost its latest attempt to prevent medical cannabis users from continuing to grow cannabis at home, with the Federal Court of Appeal upholding an injunction that exempted patients from a massive overhaul of the system. New rules were introduced in spring 2014 that prohibited home growing and instead shifted production to commercial operations, but a group of patients is challenging that regime in a case expected to be heard before the courts in the new year. A Federal Court judge issued an injunction in the spring that allowed patients who were authorized to grow and possess cannabis under the old system to continue to do so until their case is resolved. The government appealed, but the Appeal Court released a unanimous decision on 15 December upholding the injunction. As of last year, nearly 38,000 Canadians had received authorizations under the old system, the vast majority of whom chose to grow their own cannabis rather than buy it from the federal government. More than 13,000 patients have registered with the new licensed producers, which together sold 1,400 kilograms of dried cannabis between 1 January and 31 October. Prices range from 2.50 to 15 Canadian Dollars (about 1.80 to 10.50 EURos) a gram. Colorado health officials awarded 8 million Dollars in research grants on 17 December to study the use of medical cannabis in the treatment of symptoms associated with Parkinson's disease, childhood epilepsy and post-traumatic stress disorder. Awarding eight grants for studies into an array of maladies, the Colorado Department of Public Health and Environment said it sought to provide objective scientific research on the efficacy of medical cannabis. Colorado lawmakers set up a Medical Marijuana Scientific Advisory Council last year and allocated 10 million Dollars to administer a program to conduct the studies. The council received some three dozen applications, from which it chose the eight approved by the department. Funding for the program is derived from registration fees paid by medical cannabis patients in the state. Researchers of Colorado Anschutz Medical Campus will study whether cannabis can alleviate the tremors associated with Parkinson's and whether it can provide relief for children with brain tumours or paediatric epilepsy. Other projects will research using cannabis to treat irritable bowel syndrome in adolescents and young adults, and how cannabis compares with the pain medication Oxycodone. Teams at the University of Pennsylvania will conduct two separate studies on whether cannabis is effective in treating patients suffering from post-traumatic stress disorder. Acute administration of THC impairs recognition of emotions expressed by human faces. 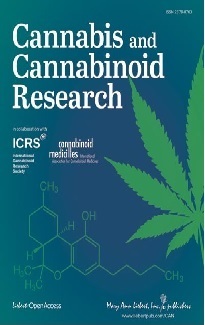 A study with 48 volunteers investigated the effects of THC and CBD (cannabidiol), both alone and in combination on emotional facial affect recognition. They were administered, THC (8mg), CBD (16mg), THC+CBD (8mg+16mg) and placebo, by inhalation, at four different occasions. They completed an emotional facial affect recognition task including fearful, angry, happy, sad, surprise and disgust faces varying in intensity from 20% to 100%. The study conducted by researchers of the University College London, UK, found that CBD improved emotional facial affect recognition at 60% emotional intensity, while THC was detrimental to the recognition of ambiguous faces of 40% intensity. The combination of THC+CBD produced no impairment. Relative to placebo, both THC alone and combined THC+CBD equally caused psychic effects. CBD did not cause such effects. A national survey by researchers of the University of Michigan of students in U.S. middle schools and high schools shows some important improvements in levels of substance use. Alcohol, cigarette and cannabis use declined in 2014. Cannabis use, after five years of increasing among teens, actually declined slightly in 2014, with use in the prior 12 months declining from 26 percent to 24 percent. 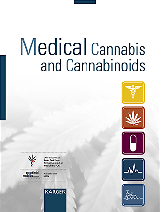 By using data of the National Health and Nutrition Examination Survey researchers found that moderate cannabis use is not associated with adverse changes in air flow of lung health, while heavy cannabis exposure was associated with a two-fold increase in reduction of a certain air flow parameter (FEV1/FVC < 70%). According to a survey with 1,456 adult citizens of Spain 52% are in favour of legalising cannabis consumption. This survey was conducted previously in 1999 and 2004. The comparison of data reveals that Spanish population is now more open to cannabis commercialisation than ever before. PharmaCan Capital, a holding company focusing on the Canadian medical cannabis market intends to go public. The Toronto-based company has significant stakes of eight medical cannabis producers, including five licensed by the Health Ministry (Health Canada). Data on research with mice indicate that glucocorticoids have an effect on peripheral endocannabinoid signalling to promote metabolic dysregulation, with endocannabinoid signalling in the liver being especially important for changes in lipid metabolism. Washington State University, Pullman, USA. Faculty of Biosciences, University of Teramo, Teramo, Italy. CBD (cannabidiol) significantly attenuated the effects of disc injury induced by needle puncture in rats. Results of studies with an HIV model in rats suggest that the inhibition of endocannabinoid degradation reduces pain caused by the virus and that both the CB1 and the CB2 receptor contribute to this effect. University of Miami Miller School of Medicine, USA.